Two bombers are currently located at RAF Fairford and another one at RAF Mildenhall. 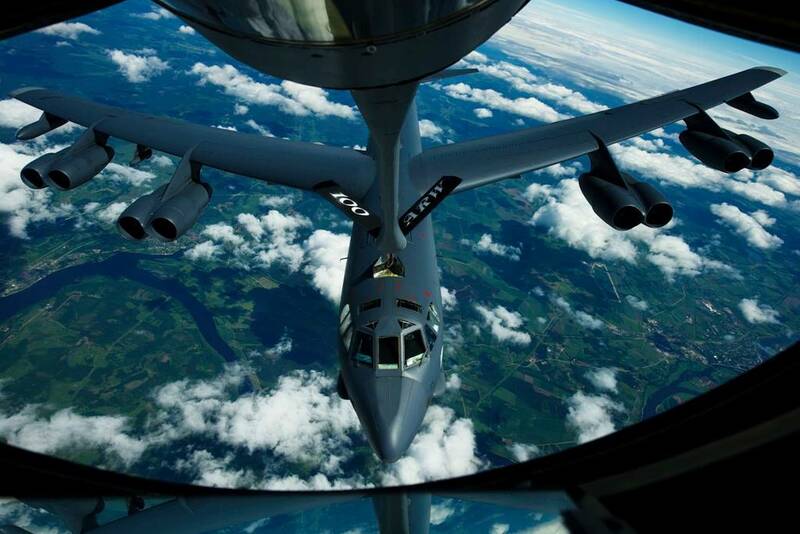 Three B-52 Stratofortress aircraft, approximately 300 Airmen and support equipment from the 5th Bomb Wing, Minot Air Force Base, North Dakota, have deployed to the United Kingdom, to conduct theater integration and training. The news was released by the USAFE office. According to unofficial source, the USAF bombers arrived in the UK after a transatlantic flight on January 9, two B-52H’s landed at RAF Fairford (60-0005 and 60-0009) and another one at RAF Mildenhall (60-0012). An aicraft was diverted to RAF Mildenhall due to inclement weather while en route to RAF Fairford. A fourth B-52H is expected to arrive within the next 2 days. The deployment of strategic bombers to the U. K. helps exercise United States Air Forces in Europe’s forward operating location for bombers. The deployment will also include joint and allied training to improve bomber interoperability. Training with joint partners, allied nations and other U.S. Air Force units contributes to ready and postured forces and enables the building of enduring and strategic relationships necessary to confront a broad range of global challenges.